The Malate district of Metropolitan Manila was the gay capital of the city, indeed of the entire archipelagic Philippines, from the 1970s until the early part of this century. However, a quick walk along the now quiet streets is all one needs to confirm the fact that gay Malate is dead. 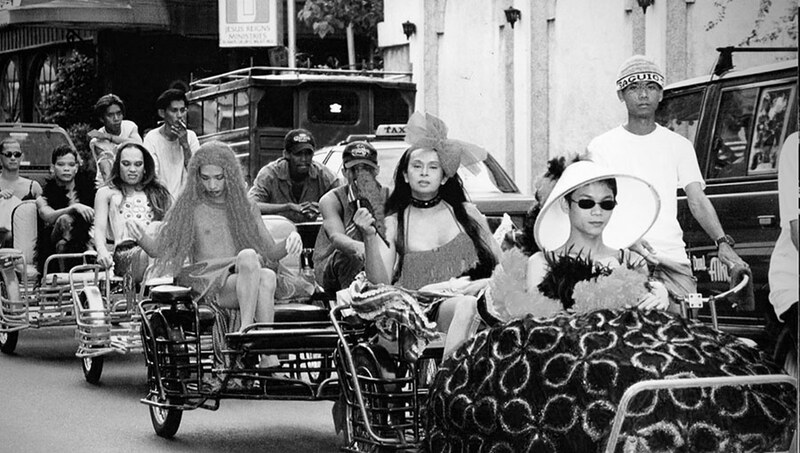 Several interlocking factors have brought about the demise of Malate as a gay space and this paper is a modest attempt to provide notes on this phenomenon. Philippine gay culture blossomed in the 1970s during the years of the Ferdinand Marcos dictatorship. Popular discourses on homosexuality began appearing, 1 explorations of homosexual life formed themes in Philippine films, and gay bars 2 like Coco Banana boomed in the Malate area. However, it was only in the 1990s that a politically conscious gay and lesbian movement thrived in the country, and the city that witnessed all these milestones in Philippine Lesbian, Gay, Bisexual and Trans (LGBT) history was Manila. Modern communications technologies have changed the sexual cruising rituals of gay men across the planet. Dating sites and apps like Planet Romeo and Grindr have eaten up the cruising market and, in the Philippines, they have provided gays with a safer way to find partners. Before the emergence of social networking sites, cheap cinemas, public parks, and bathhouses were among the favourite places where gay men in Manila sought out partners. However, all these venues entailed risks. Cinemas and bathhouses were subjected to repeated raids by the police, and men cruising in the streets could be charged with vagrancy. No bathhouse in the Philippines has been exempt from police raids. Gay bars were somewhat safer places to meet other gay men as, to my knowledge, they were very rarely raided by the police. 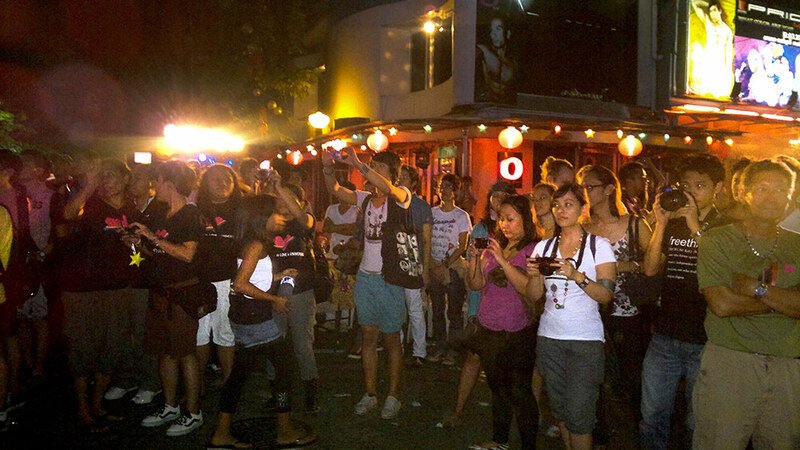 However, even if a gay bar was a safe choice for socialising, there were nonetheless many Filipino gay men who refused to go to these venues for fear of being “outed” or identified as gay. In this context, virtual communications technologies have become a viable solution to the problems posed by the dangers of physical spaces and the self-acceptance issues haunting non-scene gays. The most subscribed free mobile phone app and gay dating site in the Philippines is perhaps Planet Romeo (PR). By February 2011, Planet Romeo already had around 97,000 members from the Philippines. 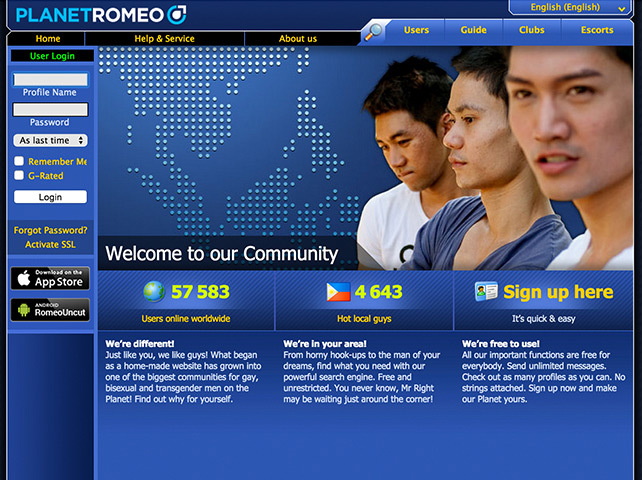 Based on information on the site’s welcome page, Philippine members who are online at any one time constitute 4% to 5% of Planet Romeo’s entire online worldwide population. Online cruising for partners is an ideal and cost-efficient choice and without doubt it has impacted detrimentally on the earnings of gay bars, many of which have subsequently gone out of business. Another factor to consider in the rise and fall of Malate as a gay space is the changing demographics of men who frequent gay bars. Different bars attract customers from different socioeconomic backgrounds, and gay bars in Manila are class-stratified, with some catering to upper class and others to lower middle class and working class gay men. The last decade has seen exponential growth of the business process outsourcing (BPO) industry in the Philippines, 5 and gay men constitute a significant percentage of the workforce in this burgeoning service industry. 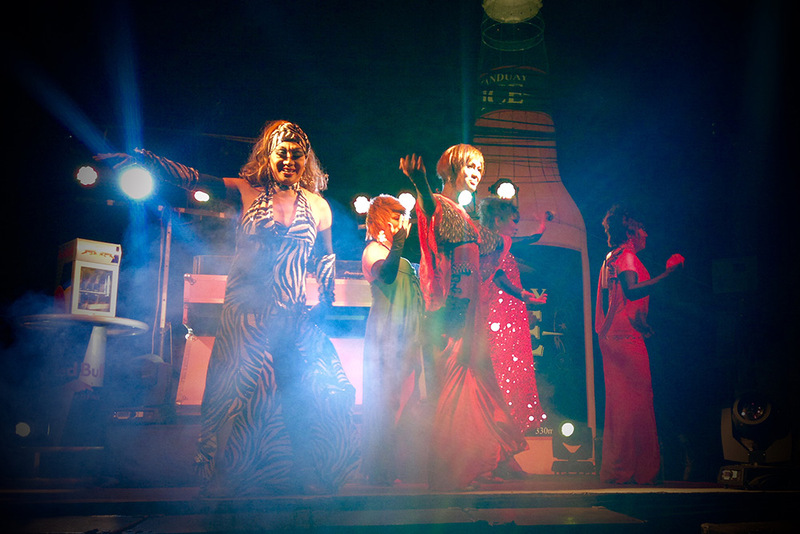 These BPO gay men, mostly call-centre agents, constitute a sizeable proportion of the market for gay bars and restaurants. The erratic work schedules (mostly late nights) and toxic work-lives of BPO workers make socialising at a bar, especially on weekends, a logical form of relaxation. However, Malate is not a BPO zone, with most BPO offices being located outside Manila in business districts of Quezon City, Ortigas, and Makati. The notorious traffic congestion of the Malate area has become a source of frustration for these bar habitués, whose leisure time is already limited. Geographic location in a congested part of the city and the changing nature of work of the target market of gay bars are therefore further factors that have condemned gay Malate to extinction. In this paper’s final section I suggest a further reason for the death of gay Malate, namely, the lack of political awareness among the majority of gay men in the country. Despite its popularity in the 1990s and the early 21st century, Malate was nonetheless a problematic space. On the one hand, it was a symbol of gay pride. 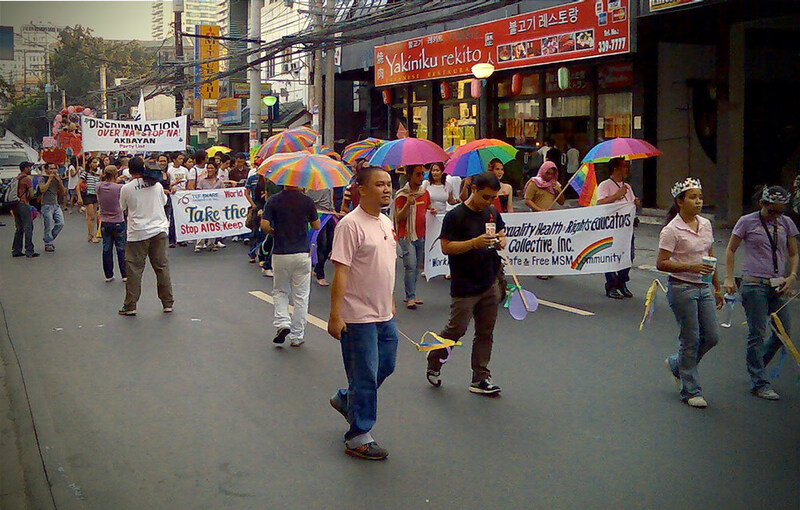 However, the discrepancy between the number of those who participated in the annual public Gay Pride March in Malate compared to the number of people who attended pride parties in gay venues after the March indicates that only a relatively small number of queers in Manila were prepared to be open about their sexuality. If the bar-goers had joined the annual public Gay Pride March the event would have had more participants. What did “gay pride” in fact mean to the men who only went to the post-Pride March parties organised by the gay bars? Were they aware of the symbolic and political significance of the Malate area? While “gay pride” may include personal affirmation of one’s gay identity as well as acknowledgment of the gay community’s existence and of a sense of belonging to it, I contend that the dimensions of political will and political action were missing in these gay parties and in Malate in general. Gay pride in the Malate gay bar scene was reduced to a mere commercial enterprise devoid of political content or meaning. Malate was just such a closet. 6 Radical sexual politics in the Philippines was not possible because the majority of the patrons at Malate’s gay bars were not interested in gay and lesbian causes, nor they did they care about LGBT history. Presence in gay urban spaces does not always translate into gay politics or activism. For gay spaces to endure requires political solidarity and pride. This is hardly evident in the Philippines now. One clear example is the failure of the LGBT organization Ang Ladlad in its bid for a seat in the Philippine congress in 2013. Ang Ladlad needed to obtain two percent of the votes cast during the elections to gain at least one seat. However, as predicted, they did not achieve this goal. 7 The gay population in the Philippines (not to mention the lesbian, bisexual, and transgender communities) is divided by binary labels like “discreet” versus “out”, “masculine” versus “effeminate”, and “muscular” versus “chubby”. Gay men are also divided by class differences that have made it extremely difficult for them to band together politically. A homophobic and especially problematic dichotomy in contemporary Filipino gay discourse is “discreet” versus “out”, with “discreet” denoting masculine, not obvious, and preferably (though not always) in the closet, whereas “out” denotes effeminacy and lack of respectability. 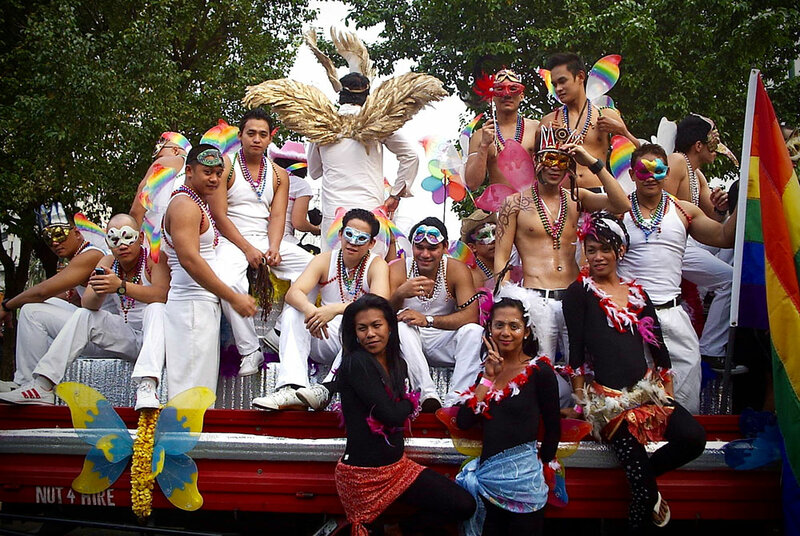 Class differences and gender presentation remain divisive forces in Philippine gay culture. For Philippine gay culture to claim a lasting space for itself, the culture of political apathy that the gay bars signify would have to change. Gay Malate has died because Filipino gay people do not really care enough about their own history and, more importantly, about their own people. Malate, once the gay mecca of Metro Manila and of the Republic of the Philippines, is dead, and it is a sad fact that many gay men in the country—most especially the men who frequent gay bars—could not care less and hardly give a damn. Issue 18, Kyoto Review of Southeast Asia, September 2015. The writer would like to thank Dennis Corteza and Jung Valientes for the photographs on the Philippine Pride March events and nightlife shots used in this piece. Butler, Judith. 1991. “Imitation and Gender Insubordination.” Inside/Out: Lesbian Theories, Gay Theories, ed. Diana Fuss New York: Routledge, 13-31. De Vera, Ben O. 2014. “Employment in BPO Sector Hits 1-M Mark.” Inquirer.Net, accessed 22 Aug. 2014. Garcia, J. Neil C. 2009. Philippine Gay Culture: The Last Thirty Years, Binabae to Bakla, Silahis to MSM. Revised edition. Hong Kong: Hong Kong University Press. Leach, Ann. 2013. “World’s Only LGBT Party Fails to Win Seat in Election.” Gay Star News. Gaystarnews.com, accessed 15 May 2013. Remoto, Danton F. 1997. “Gays: From the Underground to the Mainstream.” X-Factor: Tales Outside the Closet: Essays. Mandaluyong: Anvil, 88-92. Sad to see malate that I knew is long gone. I think there’s also alignment with an international trend in the decline for a need for gay spaces. All venues are now “mixed” venues and (many) gay men don’t see the need for exclusively gay venues. They can still be fun, or a cruising ground if you are single, but gay men are just as likely to use criteria like what DJ is playing, how good is the food or where do friends like to hang out as a criteria. The fear that was an implicit part of the gay bar (and gay ghettoisation in general) is vastly diminished now. Thank you for your comment. Good points. Another reason could be the general decline of Malate as commercial and artistic hub. It is not only gay bars that have disappeared in the area, but also establishments, such as girly bars, that cater to straight men. Even Penguin, the iconic watering hole for artists, has long ago shut down its business. Malate is a state of mind that has become just a part of memory. Not sure about the rise of the BPO gays contributing to the demise of Malate gay clubs. There’s very little correlation considering that most of these clubs closed prior to the actual boom of the said industry. Anybody who frequents Malate knows that it all started when Bed (then the obvious haven for most Malate gays) started their renovations. People started looking for alternatives and the best one was O Bar in Ortigas. Even the renovated Bed just wasn’t the same as the old “filthy” O ambience and they completely lost their loyal patrons. With most of them heading to Ortigas instead, the rest of the Malate clubs further lost potential customers. And that’s the real story behind this. To those who are looking for an LGBT affirming church, they can join us every Sunday at Blk. 133 lot 7 Juan Luna Street Brgy. Rizal Makati. Our worship service starts at 4pm. Our church is an inxlusive church where the LGBT people can come just as they are. Gender orientation aside, the death of Malate’s exuberant atmosphere (thanks primarily to Blue Cafe and Penguin) was contributed by the sudden emergence of Korean bars from 2009 onwards. Squatters also began to populate the area than it did in the heydays of Malate. Malate was neglected by the city government and it still is. I keep wishing that Malate would go back to its happy days. Those were glorious times when people from all sexes and orientation would converge on a Saturday night and just enjoy the vibe. So tell me, if LGBT visitor to Manila wanted to visit what is left of Gay Malate, what establishments are recommended in Sept 2018? As for me, I am Filipino/New Yorker who married an Argentinean/Italian. I stop going to gay bars since I got married, and I just found simple happiness and love at my our home. When we go out, we just eat out or hang out at regular restaurants and places in NYC because the food and ambience are better. Maybe, there is trend to be gay or be yourself at anywhere, not just Malate. Don’t know how to place an add on this site. Sorry, we don’t run adds on the site. Enjoy an add-free experience!